Last Wednesday was National Margarita Day. At the last minute, I decided we needed to do our civic duty and celebrate the occasion properly. I took orders from the neighbors and broke out the frozen strawberries. Everyone wanted their glass salted and I forgot I don't own anything to properly salt a margarita glass. I thought about it for a minute and came up with the perfect solution. Viola! 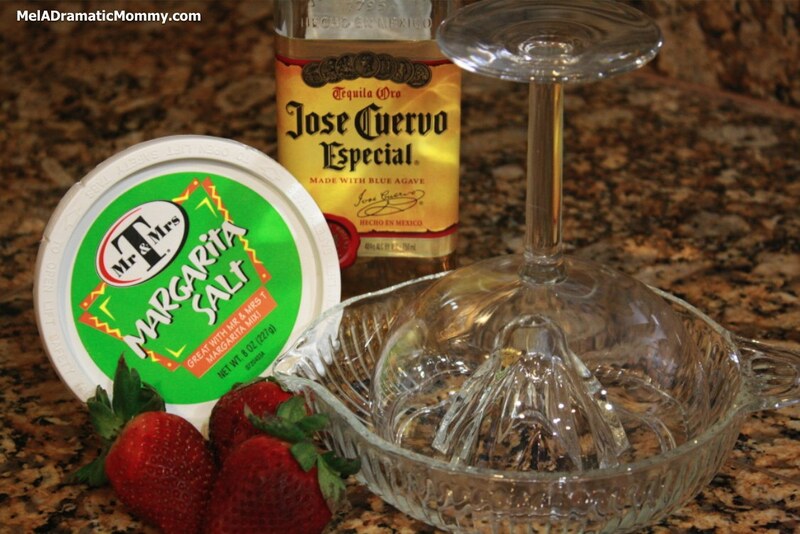 If you have a citrus juicer, check to see if your margarita glasses fit inside. I poured a little Triple Sec into the bottom of the juicer, used a small plate for the salt and it worked perfectly! No need to go out and buy a separate gadget. This one does double duty. What's working for you today? This past weekend I took my family to see an advanced screening of The Lorax and I've been humming some of the songs ever since. Tyler has politely asked me to stop several times but I can't help it! The music in The Lorax is fantastic. The songs are catchy and help tell the story and fill the holes from taking a 45 page book and turning it into a feature length movie. When we interviewed the directors and actors, Renee and Chelsea both brought up how good the music was. Chris Melandandri (one of the producers) said that, "when music works, it's such an engaging, uplifting aspect of a film with that chemistry between imagery and song, there's nothing like it in terms of just immersing you in the emotion of a scene in a movie." The music definitely works in this movie. 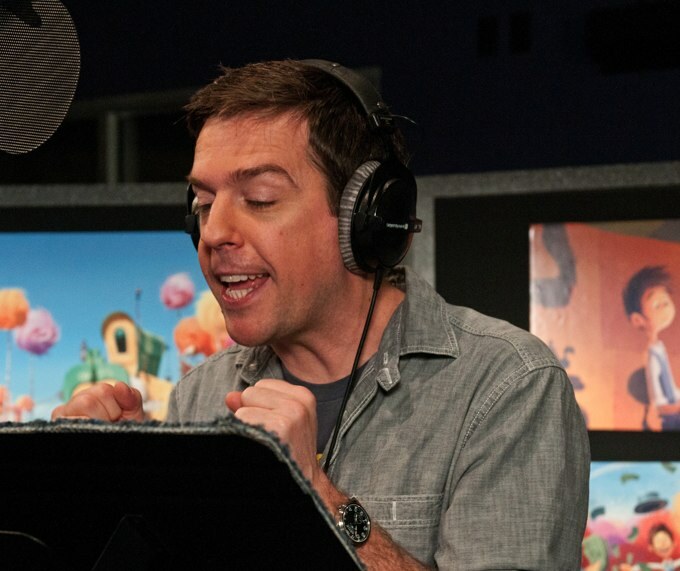 In the middle of The Lorax, when one of the turning points happens, Ed Helms moves the story along by having the character he voices, The Once-ler sing about his morals and ethics. Helms had an interesting dilemma in voicing The Once-ler. For consistency, the directors wanted him to do both old and young Once-ler. So in addition to speaking in two different tones, Helms had to sing as the young Once-ler. Despite the challenge, he had fun. He said it was "fun and silly and ridiculous and campy." He echoed my sentiments that the music is "amazing," and that John Powell (the composer) "just knocked it out of the park with the opening." I should have known I'd still be singing the songs days later because Helms has been singing too. "I got (composer) John to give me an advance of the soundtrack," he said. "You see me at a stop light and I'm singing, 'Everybody needs a thneed!'" Me too, Ed. Me too. I asked the writers (Cinco Paul and Ken Duario) how they determined what parts of a movie to use songs over dialogue. "The definition," Cinco said, "is generally, does it sing? And so, you want to sort of find the moments when it's almost demanding that the characters burst into song. But, also we used the songs really narratively to sort of tell a lot of story in a little time. And so, the first song was just a way of how can we introduce everybody to the world as quickly as possible and have them tapping their feet while they're introduced to the world, and those two moments were ways to sort of compress time and to cover a lot of ground." During the opening sequence of The Lorax, when the townspeople of Thneedville were singing and dancing, I thought, "you know, I bet this would be great on Broadway." Then later in the movie, when the three Hummingfish harmonized for the first time, I was sold. I think the fish are my favorite inhabitants of Truffula Valley. Between the bold, colorful scenery and the songs, I think The Lorax should be a musical and I said as much to the writers. Me: "It was the fish that made me think that this would make a very good stage production. I can see these amazing sets and more musical numbers. If somebody came to you and said we want to do The Lorax on Broadway, would you guys write it?" Mr. Ken Duario: "Yes ma'am." Mr. Cinco Paul: "Yes, please. Yes, I am a huge fan of musicals. So, I would love that." If The Lorax becomes a stage production, you heard it here first. I think The Lorax would have been a very different movie without the music. It would have been easy to get lost in the environmental message and it may even have been a little sad, but the songs interspersed with the humor keep it so entertaining and fun. 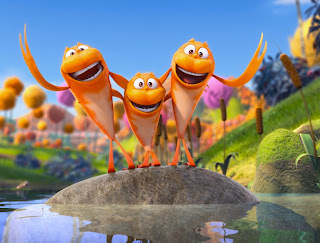 The Lorax opens this weekend on May 2nd. 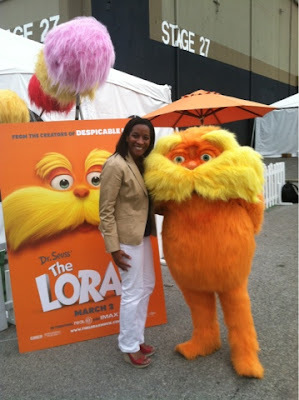 Thank you to Universal Pictures for providing travel and accommodations to a press viewing of The Lorax. Affiliate link used. Look before you leap. I think we've all heard that saying umpteen times. It's supposed to remind us to be cautious before taking a risk. But then there's "throw caution to the wind," which is pretty much the exact opposite. So, which one is right? I'm a cautious person by nature. I like to know the who, what, when, where, why and all possible outcomes before I do anything. It can be exhausting because I over think and over analyze things to death. Caution also gets me stuck in a rut, afraid to move forward. I've still been struggling with determining whether I'm thinker or a do-er. Today, I got tired of being stuck in a rut. I decided to be a do-er. I ignored caution altogether and jumped in feet first. Let's hope I stick the landing. Phil and Tyler tease each other all the time. Phil has a sarcastic sense of humor, and Tyler can't always tell when Phil is joking. He makes himself a really easy target sometimes. Tyler: When we get home is it my bedtime? Me: No, it's Saturday of a holiday weekend I figured you'd both be up all night playing video games. Tyler: Yeah dad, we're supposed to stay up doing father son things. We're supposed to relate to each other and tell each other our feelings. Phil: Well then, I feel like it's going to be your bedtime. One of these days, Tyler will catch on and be able to give as well he gets. Tyler: "One of the boys in my class told me he's kissed a girl." Girl 1: "Oh yeah, I heard that from [another girl]. She told me he kissed one of his sister's friends." Me: "What kind of kiss are we talking about? A peck on the cheek?" Tyler: "I don't know. And mom? Mind your own business." Oh. No. He. Did. Not! If I could have slammed on the brakes so I could turn all the way around and look him in the eye, I would have. Me: "Get this straight, as long as you live at home and you're under the age of 18? Everything is my business. You have no secrets from me. Got it?" At least he had the sense to look abashed when we pulled into the driveway. What have you had to set your kids straight about lately? If your household is like mine, you probably run to the store for milk and bread at least once a week. I know dairy laws differ state to state but I always wondered why there were no coupons for milk since it's something almost every household buys in multiple quantities. 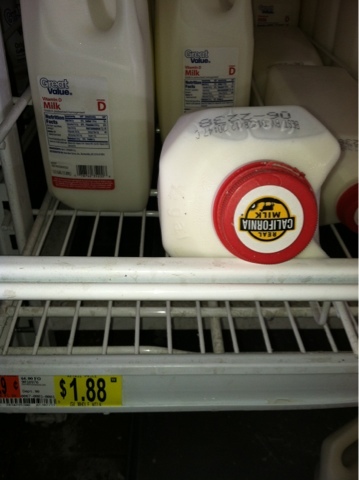 Maybe I'm just behind the coupon times, but there are coupons for milk! I found this out during an event Real California Milk held last year. 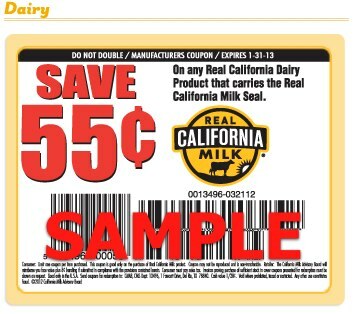 On the Real California Milk site, you can print coupons for milk brands that have the Real California Milk seal. This comes in handy when the store brand has the seal since most store brands are almost always cheaper than name brands. I see this at WalMart and Sprouts Marketplace. Using a coupon, this half gallon goes down to $1.33. The really cool thing is, because the coupon is offered as a PDF, you can download it and print as many as you like* (just be aware of the expiration dates). I have several of these in my coupon binder at all times. It's nice to be able to save on a fridge staple! *As with all coupons, read the fine print and make sure the coupon is valid in your area. Only use coupons from trusted sources. Do not abuse, alter or use coupons fraudulently! This ticket giveaway is for San Diego residents only. * Contest has ended, winner announced. 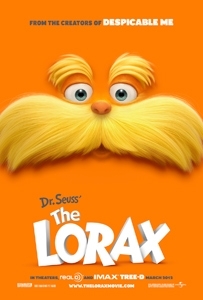 If you liked Despicable Me, you'll love The Lorax. The same creative team behind Despicable reunited to work their magic and turn Dr. Seuss' iconic book into a 3D-CG feast for the eyes. The movie is about Ted, his crush on Audrey and how his desire to make her happy leads him to the Once-ler and the story of Truffula Valley and Thneeds. Danny DeVito is perfect as the voice of The Lorax. Zac Efron is Ted, Taylor Swift is Audrey, Betty White is Ted's grandmother, Ed Helms is the Once-ler and Rob Riggle plays the villain of Thneedville, Mr. O'Hare. I think they did a great job tuning the book into a feature length film. I also think they used the 3D really well. This a really good film for the whole family. I'll have interviews with the cast coming soon. Find out more about the movie and play games at www.theloraxmovie.com. Enter through the Rafflecopter widget below for your chance to win a family four pack of tickets to an advanced screening of DR SEUSS’ THE LORAX on February 25th. Phil has re-arranged his schedule twice so I could attend recent events and I wanted to give him a little thank you gift. His sweet tooth is almost as bad as mine when it comes to certain treats. 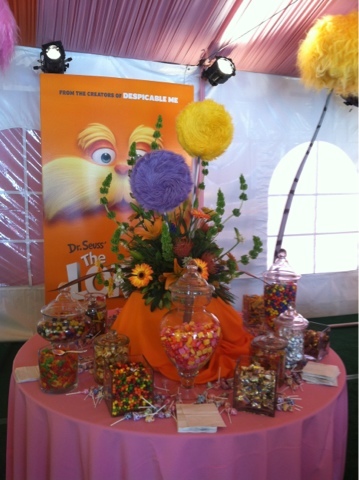 Well, there was a whole candy buffet of all his favorites in the press lounge for the Lorax. I made a little goodie bag and left it so he'd find it on his way to work in the morning. I figured he would eat it all in one sitting, and I was right. I told him I could have brought more home for him, but I didn't want to be 'that person' with an assembly line of candy bags in front of me. Then I showed him the picture of the buffet. He said, "oh man. Next time, please be that person!" Thanks to Universal Pictures for the invitation to attend the press event! I haven't done a book review for 2012, but that's not because I haven't been reading. Back in late November, I started (re)reading the Outlander series because it was finally chosen as our book club selection. So I read the first and then couldn't resist continuing on with the next three*. 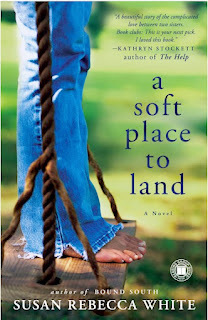 Since the beginning of the year, I've also read A Soft Place to Land by Susan Rebecca White and Crunch Time by Diane Mott Davidson. I've said before I like books that deal with the relationship between sisters. I'm sure it's because I've always wanted to have a sister. This book follows two sisters from childhood to adulthood as they deal with the after effects of a tragedy. It's not a sad or depressing book, which is good because it really could have been. Ruthie and Julia are young when their parents die in plane crash (not a spoiler, this is on the back of the book). After their parents' will is read, the girls' lives go in two totally different directions. It sounds weird to say, but one thing I liked about this book is that it wasn't too long or too short. some books zip through the conflict and resolution and others drag it out for way too long. 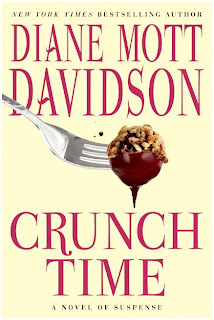 Crunch Time is the 16th book featuring the murder mystery solving caterer, Goldy. I've been starting to worry that this series is jumping the shark. It's kind of to be expected since it has to be hard writing the same characters year after year and coming up with new situations. 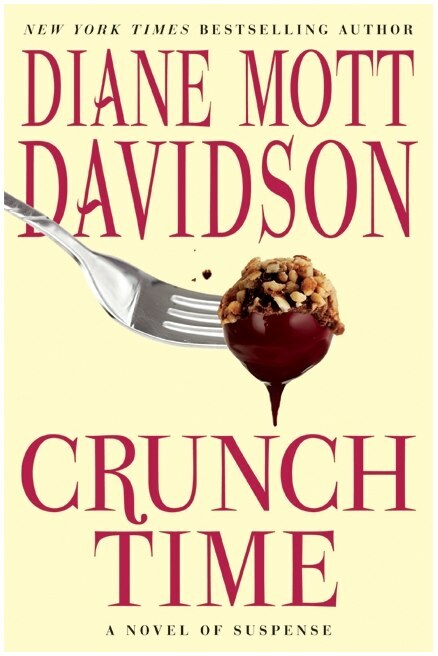 I continue to read them because I feel so invested, kind of like the 'number' and 'alphabet' books by Evanovich and Grafton, respectively. I wanted to like this book more. I didn't dislike it, but I was hoping there might be a new spark to the series. It did end in a way that future books could make me enjoy the series the same way I did in its beginning. Let's hope. If you need some 'I don't want to think about what I'm reading' fluff, this is a series for you. I started Dreams of Joy by Lisa See right after Crunch Time. Night Circus is next for book club so look for reviews of both soon. 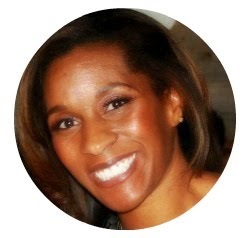 You can talk books with me on Pinterest and Goodreads. *My love for this series is almost fanatical. This was my ninth (maybe tenth) reading of Outlander. When we met to discuss the book, many members didn't enjoy it. My talking about the other books in the series swayed some to keep going. There were so many good moments during our interviews with the Big Miracle cast. We laughed a lot and the atmosphere was relaxed and casual. We were told many times that our panel room was "the room" to be in. Kristin Bell was in the middle of answering a question but interrupted herself to say "can I just say how lovely the energy is in here, because I do a lot of these things, and sometimes I'm secretly slitting my wrists underneath the table. And this is just such a lovely group of estrogen, that it's really refreshing." It was nice to hear, especially since I almost ran Kristin over as she was coming out of the elevator and I was going in. I was just about to reach out and grab her arms to make sure she didn't fall when I realized who she was. My hands were left mid-air and it was awkward. Then, to make the situation worse, I called her sweetie when I apologized. Getting to talk with the cast is good for people like me who behind the scenes kind of people. One of the things I liked hearing from the actors was what they did to prepare for their roles. Kristin's dad worked in broadcasting as a news director. I asked if his background helped her get ready to portray journalist Jill Jerard. "Without question," she said. "That was one of the reasons, in my first meeting with Ken Kwapis, that I said wanted to do this, because I grew up playing with a teleprompter and knowing the local celebrities who were the news anchors. But, it felt very at home playing a journalist, I guess, because I have gone to work with him so many times." Since the events took place in the late 1980's, I couldn't help but compare how different the national media coverage of saving the whales would be today compared with back then. During the session with John and Drew, John, who played Adam Carlson, said something that segued very nicely into one of the questions I wanted to ask. "I personally believe that the time to believe in speaking up and having a voice and what can I do to help and all that is now. One Tweet, one Facebook page, one anything can start an entire movement for your favorite charity. You can get a pothole filled on Main Street. You can do whatever you want. Or, you can go all the way and start a revolution and be out in the streets of New York and start a national campaign, you know?" So I asked, if this story were to happen today, in terms of social media what do they think their characters might have done differently? John made us all laugh with "there's an app to save whales." Drew spent a lot of time with Cindy Lowry, the woman she portrayed as Rachel Kramer. She answered my question with, "I would need to ask her [Cindy] that because that's not something we discussed, how would you respond to social media. I know she's not like, tech savvy. But, she loved having a voice, and she really did pull out a bullhorn in the middle of an auction to sell off the Bristol Bay Auction. So, she really was that person. And she's a bit of a bull in a china shop in that way. And I think people who don't know what the boundaries are and sort of do whatever they need to do to get their point across probably would love a social media platform." 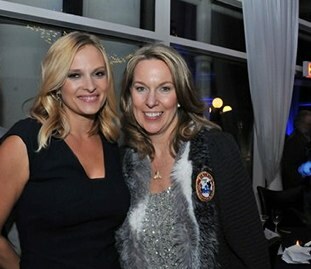 As a military wife, I would be remiss if I didn't say a little about Bonnie Carroll played by Vinessa Shaw. There's a love story in Big Miracle between Vinessa and Dermott. It's not a big part of the movie, but it's a huge part of Bonnie's life and it was so amazing to hear. The way the events happened in the movie are not too far off from real life. Bonnie and Tom met, fell in love and agreed to marry over the phone. "And so, I called someone I knew in the Guard who called someone who called someone who called someone, and ultimately, they got up to Barrow, Alaska. And I was still at my desk working, not waiting for a phone call, just at my desk working at two in the morning when the phone rang. And that was the first time that he [Tom] called. And we knew each other. I can't explain it. Literally, we were together from that moment, inseparable, absolutely together. And we were together right up until the morning that I saw him off on that flight. And he didn't come back. It's one in a million, but it really, really, really, really happened that way. We agreed to be married before we ever met in person." I knew about Tom's death from researching the characters before I saw the movie. Bonnie started TAPS (Tragedy Assistance Program for Survivors) after Tom died. There is more about the two of them and their lives together on the TAPS site. It really is amazing to read about. As I said in my earlier post, I really enjoyed this film. It's a good family movie, though younger kids may not be able to understand everything. If you homeschool, there are a ton of things to talk about: whales and migration, The Cold War, Alaska and the Inupiat tribe, technology today versus the 1980's and how different media coverage is today. Big Miracle opens this weekend! 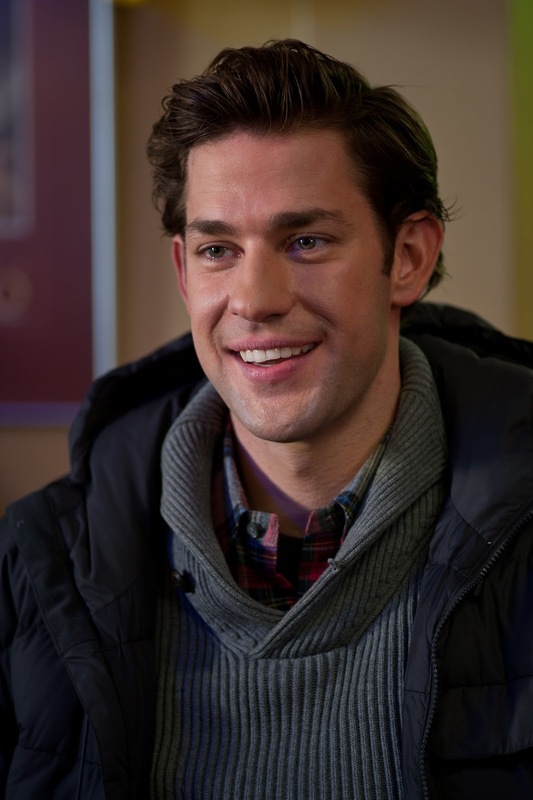 Watch and share the Big Miracle trailer on Facebook and Universal Pictures will donate $1 to Oceana. Thank you again to Universal for inviting me to participate!